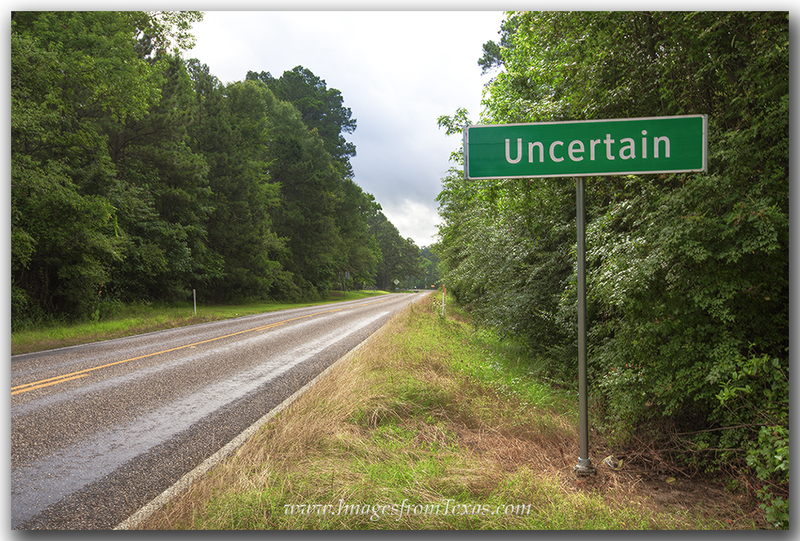 A sign welcomes you to Undertain, Texas, a small town in east Texas that is a launching point to Caddo Lake and all the recreational activities it brings. Out on the lake, I found a surreal landscape of cypress trees draped in Spanish Moss. Most of the lake is only 2-4 feet deep, and we skirted several passageways just barely wide enough for our boat to fit. There were even places we couldn’t go, but a kayak or canoe would have been perfect. I enjoyed seeing the well known “Government Ditch” and “the Cathedral” – two areas where cypress trees reach up and over the waterway and form a canopy-like tunnel for the boat to slip through. The Cathedral is a section of bayou at Caddo Lake in east Texas that pulls you in. The cypress are draped with Spanish moss, and the whole scene is surreal and mysterious. For me, this is one of the most unique Texas landscapes, and traveling these backwaters where it is quiet and peaceful is always an adventure. I did find photographing this location quite challenging. I normally shoot 99% of my photographs using a tripod. However, while bopping around in a boat, a tripod is pretty useless. So most of my images were taken hand-held while kicking up the ISO to 800 or even 1000. For sunrise, I jammed my camera against a waterway signpost to steady it in order to take long exposures. One glorious sunset we used a duck blind to set up a tripod. Our efforts were rewarded with one of the most beautiful sunsets I’ve seen this year. 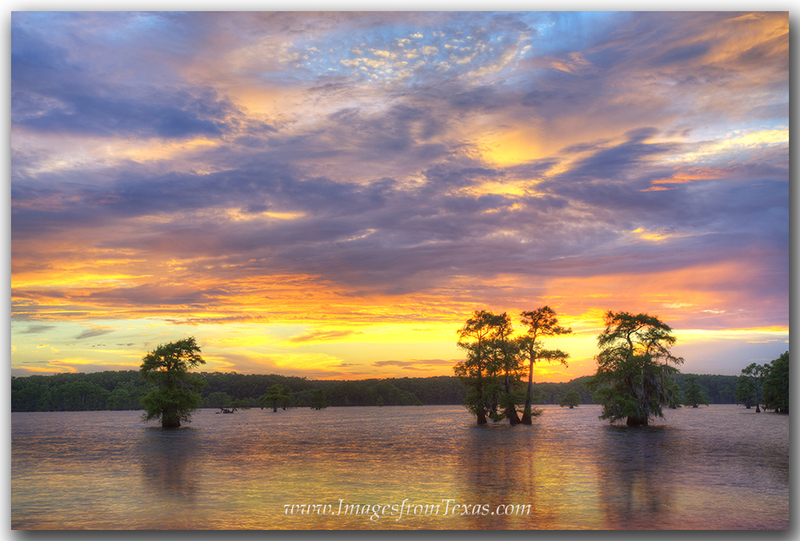 The sky was ablaze with color on this June evening on the waters of Caddo Lake in east Texas. After storms had brought rain most of the day, the clouds finally cleared just a bit to allow in some beautiful light. I had hoped to see an alligator on our treks, but alas, the only gator I encountered was deep fried as an appetizer for one of our lunches (tasted like chicken). We did see turtles, snakes, egrets, herons, and a huge wolf spider that was the size of my hand. I thoroughly enjoyed my short stay and am already thinking of ways to be more productive on a return visit in Autumn. 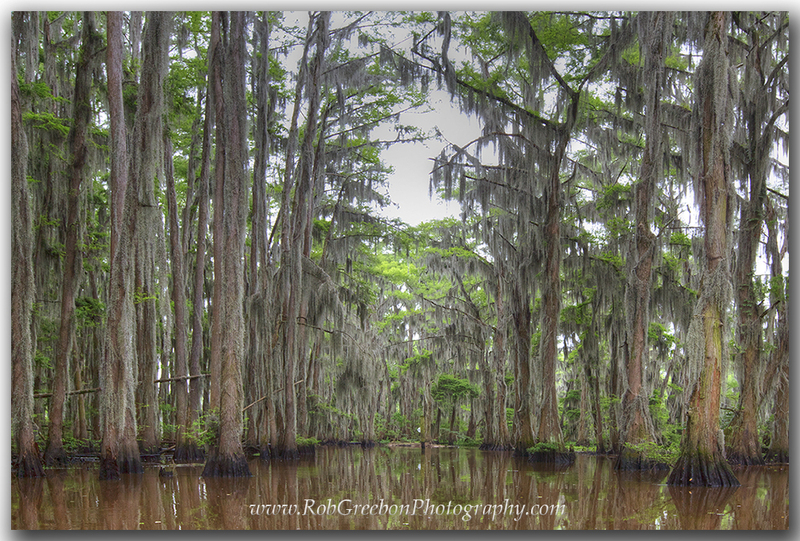 See more photographs from this unique area of east Texas in my Caddo Lake gallery.